By now you have probably heard of the ketogenic diet but never really thought it would be possible on a plant-based diet. First, let’s first clear up any confusion you might have when it comes down to what the diet actually is. There are several different variations of the ketogenic diet and as it grows in popularity it’s becoming more of an umbrella term for all the ways you can achieve nutritional ketosis (defined by elevation of blood ketones). The fascinating origin and history of the ketogenic diet is covered in the 3 part series on Robb Wolf's blog. Each variation stems from the classical ketogenic diet, where your daily calories come from approximately 90% fat, 6-10% protein, and 2-4% carbohydrates (4:1 ketogenic diet). What came later were modified versions of this diet which, for most, may be a little more approachable and sustainable long term. These modified versions of keto (aka modified Atkins) range from 65-85% of your daily calories coming from fat, 15-35% from protein, and 5-10% from carbohydrates. Can you see the trend? Fat is our friend. The modified versions are more liberal with protein and non-glycemic fibrous carbs (i.e. veggies). These modified versions can still allow you to reap all those superhuman benefits of ketosis that everybody raves about without having to significantly restrict protein or giving up carbs completely. If you have ever talked to someone that has entered ketosis before, there is little chance they will describe it as a walk in the park. There is a conscious process to becoming “keto adapted” (i.e. metabolic transition from glucose to fats and ketones). The process triggers acute and gradual alterations in metabolic control and even signalling effects like epigenetic regulation and suppression of inflammation. Not to mention it is SO different for each individual considering all the factors that influence the process, such as how much/type of exercise you do, if you are calorie restricted (CR), if you practice time restricted feeding (TRF), variations in baseline metabolism, even genetics play a role. One person may be able to enter ketosis on a modified version allowing 100g of carbs a day, whereas as little as 5g carbs could kick someone OUT of ketosis, especially if it is sugar or starch. It is recommended to keep your daily total carbs to fewer than 50g. The only sure way to know which ratio is best for you is to measure blood ketones, or at the very least urine ketones. Anecdotally, it is observed that ideal blood ketone (beta-hydroxybutyrate; BHB) levels ranging from 1-3 mM may be optimal. A measurement of 0.5 mM is the bare minimum, that is the clinical threshold for ketosis. Urine ketone measurement (acetoacetate; AcAc) can vary depending on hydration status, but the clinical threshold is an AcAc level greater than 15 mg/dL (using Ketostix). There are new blood ketone monitoring systems emerging, like the Keto Mojo that have made tracking nutritional ketosis easy and affordable. Keep in mind, especially when first attempting keto, that a BHB level of 1.0 mM is approximately 5-10X higher than the general population ever gets eating a Standard American Diet (SAD). Ok, so how do I do this if I’m vegan? 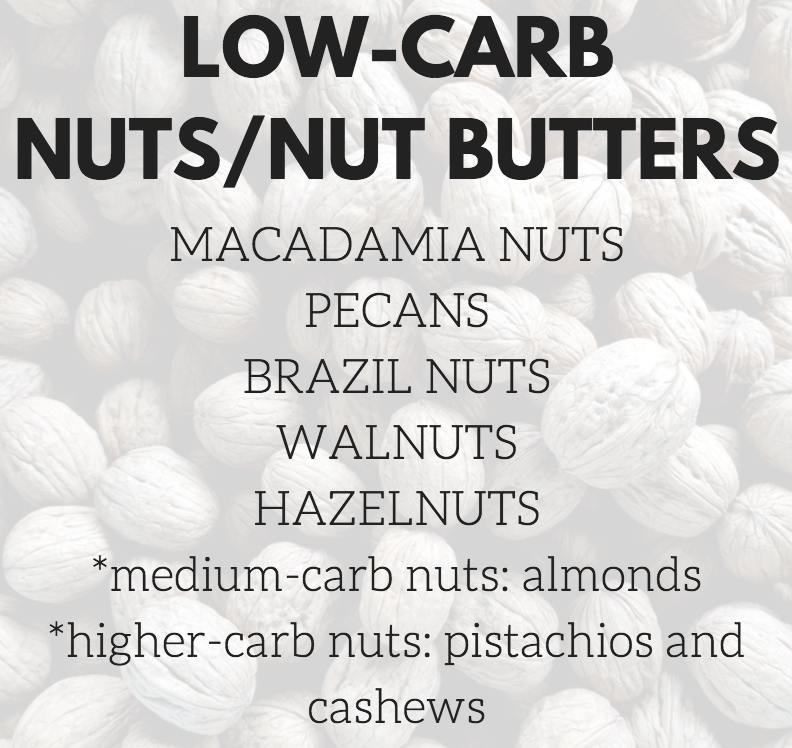 Remove/severely limit grains, legumes, and fruit - preventing ketosis will be a sure deal by incorporating these food groups, so best to cut them out. 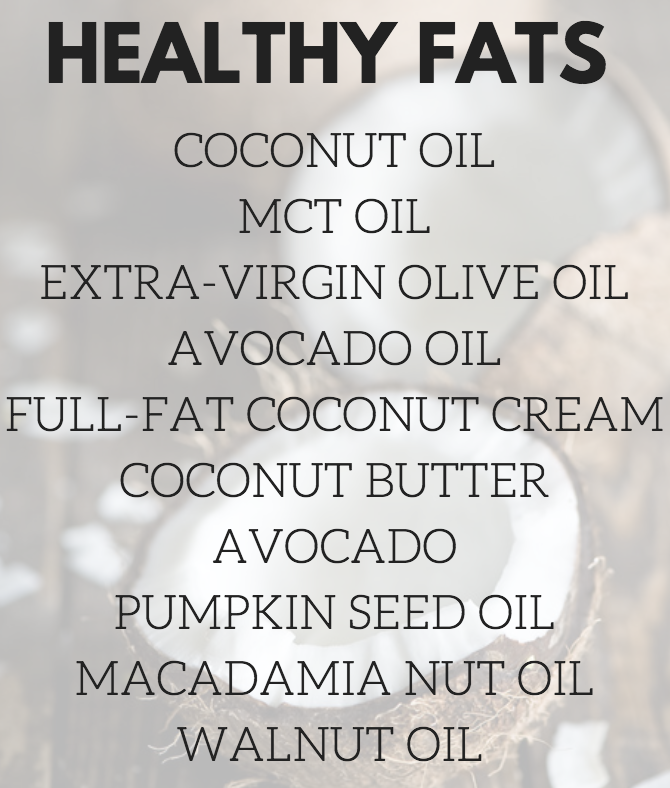 Make oil your friend - without meat there are minimal sources of fat that aren’t found in combination with carbohydrates, so in order to reach your fat quotas for the day, healthy oils (see below) are the way to go. Stick to low-carb fibrous veggies - sorry, that means no sweet potatoes, beets, or any root vegetables for that matter. Track your macros - no not calories, macros (cannot emphasize this enough). Without tracking there is no way to know your daily macronutrient ratios needed to sustain nutritional ketosis. Carbs are sneaky and are hidden in more foods than you think! I suggest downloading the app “Chronometer” or “MyFitnessPal” both are very user friendly. These tips generally apply to anyone following a ketogenic diet, meat-eater or not. If the thought of not being able to put that banana in your smoothie tomorrow freaks you out a little, do not fret, there are acceptable alternatives (unfortunately there is no solution to the banana dilemma, you still won’t be able to eat it). This list is just a handful of foods that you can include on a vegan ketogenic diet. A ketogenic diet does not have to be complicated, heck blend an avocado, some coconut cream, 1-2 TBS of MCT oil, a handful of spinach and a scoop of protein together and you have a meal. If the kitchen is an unfamiliar territory for you, luckily a quick google search can lead you to some great vegan keto recipes. Ever heard of zucchini noodles, Brazil nut parmesan, coconut butter fat bombs? Well, these may become new staples in your diet. Throw 1-2 TBS of Brain Octane or XCT oil, 1-2 TBS of coconut oil or coconut cream (in place of grass-fed butter), and your favourite cup of coffee into your blender and you have a dairy-free, creamy keto coffee that will make getting out of bed a little bit easier. Although a vegan ketogenic diet is very doable, there is the issue of simply being on a high-fat low-carb diet rather than a ketogenic diet. Yes, there is a difference. If you’re following a vegan high-fat low-carb diet you can still get some benefits, like improved insulin sensitivity, and the level of satiation you experience after a high-fat meal. However, being “low-carb” but not quite ketogenic has its pitfalls. Before you enter ketosis your body will scavenge for any glucose available. If you are eating just a little too many carbs or protein (that’s right, protein can be a source of glucose) you are still giving your body small amounts of glucose (and spikes in insulin) that prevent sustained ketosis and eventually leave you feeling depleted. At this point you may experience fatigue, muscle loss, and a decrease in strength and physical performance. This is when you know you are not in ketosis and you should reconsider your ratios of fat, protein, and carbohydrates. Note: once in ketosis, ketones are actually ANTI-catabolic, meaning muscle sparing, so don’t worry about losing those gains if you think you’re not consuming enough protein. As long as you are meeting your calorie requirements you'll be ok. Intermittent fasting in addition to a modified keto diet - by shortening your eating window to 4-8 hours and fasting from 16-20 hours a day you increase your likelihood of depleting liver glycogen and forcing your body to start producing its alternate energy source - ketones. Avoid snacking if possible and if you’re up for it you can even try a 24 hour fast once a week to kickstart your ketogenic journey. Periodic intermittent fasting is also a good strategy for creating a calorie deficit in those desiring to lose weight. Exercising regularly - exercising will likely help you enter ketosis faster by depleting glycogen. Once in ketosis, exercise will help maintain the state and the duration/type of exercise you do will impact the amount of carbs you can “get away with” in a day. Exogenous ketones - if you just can’t get those carbs to a level that will put you into nutritional ketosis, exogenous ketones may be the solution. In animal models, exogenous ketones, even when given in combination with a normal rodent high-carb chow, showed benefits (anti-seizure, anti-cancer, anti-anxiety, anti-inflammatory) typically associated with a more rigorous ketogenic diet. Hopefully by now you realize a plant-based diet is possible and may not be as daunting as you once thought. Individual meal plans will be based on your own food preferences. I do want to mention again that measuring blood ketone levels really is an important part when getting started with keto to make sure you are on the right track. The more you do it the easier is gets and the more benefits you will notice over time. Finally, remember that everybody is different and your lifestyle plays a huge role in how your body responds to a certain amount of carbs. Don’t feel discouraged if you’re hitting what you think is the “right” amount of carbs and still not becoming keto adapted, because it just might not be “right” for you. You may need to do some experimenting to find your sweet spot (while trying to lose your sweet tooth). For more information, check out "A Comprehensive Guide To The Vegan Ketogenic Diet". Good luck!